A few months ago, my husband and I had the opportunity to teach a marriage enrichment class to the married and engaged couples at our church. My husband suggested that we cover communication in marriage and tasked me with researching the topic and starting the outline to our notes. After researching communication in marriage and starting our notes, I soon realized that our subject matter had greatly expanded. Not only did I cover the topic of communication in marriage, but I expanded it to include the top 3 reasons why people divorce, and one reason being communication issues. went forth with the top 3 reasons for divorce. Infidelity – topping the list was infidelity or unfaithfulness in the marriage. Most everyone has a theory on why spouses cheat, whatever the reason, infidelity is usually a deal breaker for the spouse who has been the victim of a cheating spouse. Despite this being the leading cause of divorces, there are many couples who seek out counseling, forgive and move on with their lives after an affair. Finances – financial difficulties and/or differences in spending and saving habits was the second most common reason cited for divorce. The present economic climate has put a lot of strain on marriages because there are many households where one or both spouses have either been laid off or one of the spouses may be underemployed. Communication – poor communication or lack thereof in a marriage has caused the demise of one too many marriages. Oftentimes, a husband and wife will have different communication styles, there is nothing wrong with this, however differing communication styles will take understanding from both partners to correctly interpret what is being said in a conversation. I once heard the saying, “what you don’t say, sometimes speaks louder than what you do say.” Remember silence can be golden or deadly! Incompatibility – some say opposites attract and perhaps this is a good thing for those who appreciate the difference in their spouse. However, incompatibility is not a trivial matter. There are some basics that every couple should agree on such as: money management, how they will raise their children, religious beliefs, and their career goals and aspirations. Physical, Sexual, Emotional Abuse – abuse in marriage is seldom talked about until it involves a celebrity and is in the national news. Sadly there are many women and some men who endure years of abuse in an attempt to make their marriage work. Without a strong commitment and desire to change from the abuser, the victim in many abuse situations walks away from the marriage. Other popular reasons cited for a divorce in 2009 were gambling and substance abuse. In 2011, as evidenced by recent research regarding trends in divorce, social networking is making tracks considering it was not even on the list in 2009. 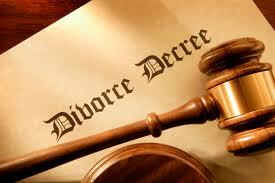 We now know that social networking and Facebook is being cited as the cause for many divorces. Recent research has shown that 20% of divorcees have listed “Facebook” or some other form of social networking as the reason for their divorce; counselors have also noted that an increasing number of couples seeking marital counseling have cited Facebook as a major problem in their relationship. A New Jersey pastor who has counseled more than 20 couples who say Facebook has caused problems in their marriage has asked his parishioners to either delete their Facebook accounts or create a family page; he also asked 50 married officials at his church to delete their Facebook account or resign. Some feel as though social networking, Facebook in particular, does not ruin marriages – people ruin their own marriages. That whether there be a Facebook or not some people would cheat regardless – once a cheater, always a cheater. I found several couples who blame their divorce and/or marital problems specifically on Facebook. One lady shared that her husband “friended” an ex-girlfriend from high school; and began having an affair with this woman. The wife found out about the affair after the husband cheated on and left the ex-girlfriend for someone else he had become friends with on Facebook. The couple is currently going through a divorce. A spouse cheating on their wife or husband with an ex-girl/boyfriend from high school has repeated itself more times than I care to mention. Then there is the gentleman who at the urging of his wife set-up a Facebook account and sent a friend request to his wife. The wife accepted the friend request, but blocked her friend list – the husband questioned this and the wife became very defensive refusing to unblock her friend list. The wife eventually deactivated her Facebook account. The husband now feels as if his wife was hiding something from him. And finally, there are those who excessively spend hours on the internet chatting or are on Facebook, neglecting their spouse. Many spouses expressed a concern that the excessive time that their spouse spends on Facebook could be spent with them. After hearing of the problems these couples were having, I compiled a list of tips for married couples who use Facebook. 1) Do not friend an ex-girl/boyfriend. This one seems like a no brainer. However, some people may feel as if there is no harm in Facebook friending a person they have dated – I caution against this, this seems to be the common thread shared by those spouses who learn of their partner’s infidelity connected to Facebook; the spouse befriended an old girl/boyfriend. 2) Do not feel obligated to friend everyone from your past. Some people are in your past for a reason; it’s okay to leave them there – don’t feel obligated to accept a friend request from someone in your past who you feel has no place in your present or future. 3) Do not friend people you don’t know. Once again, this one seems like a no brainer, however, some people have/do friend people who they don’t know because they either share friends or have common interests. I again caution against this. You may friend them as a nice gesture not knowing what the person’s ulterior motives are – unfortunately some people use social networking sites such as Facebook as a breeding ground for finding companionship – you don’t want to be a target – there are some who could care less that a person is married. Never ever flirt with someone who is not your spouse. A little flirting here and there might seem meaningless to some – however, this is the door that has led to many affairs. 5) Allow your spouse full access to your Facebook page. In a marriage there should be full disclosure always. Even if you have nothing to hide, limiting your spouse’s access to your Facebook page just seems suspicious. I agree that there should be trust in a marriage, this goes both ways – your spouse should trust you enough to not care about having full access to your page and vice versa, and you should be open and honest enough to offer your spouse full access to your page. 6) Limit your time on Facebook. Be cognizant of the time you spend on the internet and Facebook. I have said more than once, a huge time waster is Facebook. If you find yourself complaining that you do not have enough time in the day to do what needs to be done, take a break from Facebook and observe how much time you might have to do other things. I realize that there are still those who believe that Facebook and other social networking sites is not responsible for the demise of so many marriages, however, I say the proof is in the pudding which are the recent divorce decrees that specifically list “Facebook” as having caused and/or contributed to the reason for the divorce. ATTENTION MEN: Don’t Marry A Career Woman! Wow, that’s deep! In summary, the article basically asserted that with better education and opportunities, women have become less happy. woman does not have to mimic anything that research studies have asserted. Married couples who have children and both partners work outside of the home must realize that any traditional thinking concerning chores and housekeeping will not work. When both partners work outside of the home, there must be mutual agreement on who will do what chores. Regarding the infidelity or cheating assumption, I do respect that research, however I do not fully agree with the results. There are many theories concerning what drives someone to cheat on their spouse – primary theory being that there is some sort of unmet need in the marriage and I’m unsure if there is any correlation between unmet needs and having a career; although I’m sure some would argue that career women may be absorbed by their job, kids, life and therefore put their spouse last perhaps prompting the husband to have an affair. 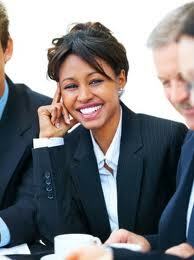 However, knowing this the career woman must conscientiously decide that her husband is a priority always. The last few decades have seen a record number of women obtain their degree and enter the workforce – that being said, men it will be quite a challenge to NOT marry a career woman. My advice to those men who harbor traditional views of marriage and a woman’s role in marriage is to reevaluate your thinking process and in short GET WITH THE TIMES! This is the 21st century and a woman’s expected place is no longer in the home barefeet and pregnant.